Some of us have a dislike for spiders, some of us are full on arachnophobes, some of us have no problem with eight-legged arthropods. 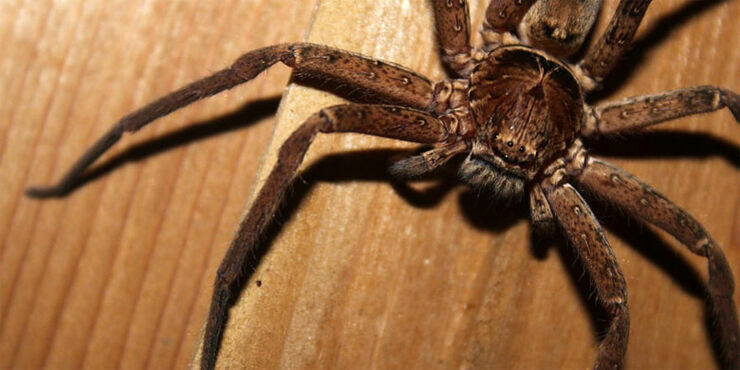 Where ever you sit on the spider-fearing spectrum, these ten facts won't make them any more endearing. Actually, quite the opposite. Because it's full of negative propaganda about arachnids, from tales of one living in a woman's ear canal for days after it crept in while she was sleeping, to spiders raining from the skies, to the flesh-melting venom of the brown recluse spider. Nothing in this video makes these insects any more likable. If you were a spider and you watched the video you'd be outraged, shaking with fury that your kind were cast in such a bad light. I mean, what's not to like about an arachnid? They are the perfect family pet. You have a furry body, just like a puppy or kitten, you like living in the family house. Also you are not afraid of humans and showing your affection by climbing all over them (when they are asleep), you don't chew the furniture or bring mud into the house and there's no expensive vet bills if you get sick. And lastly, it's always good to remind people that you ingest the equivalent of the UK human population in flies and other insects each year, all the creepy-crawlies that you hate having around. Surely that must count for something?